We recognize that all of our patients are unique and deserve to receive orthodontic care that reflects their individual needs. Our experienced and talented team is committed to working with you and your family to create a comfortable, stress-free, and rewarding orthodontic experience every time you visit our practice. 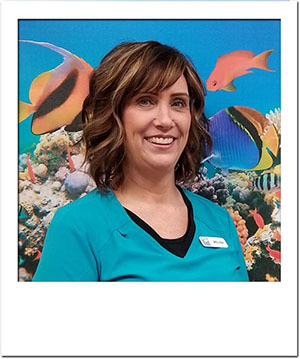 My name is Beth and I am an Orthodontic Assistant Team Leader for Dr. Cherubini. 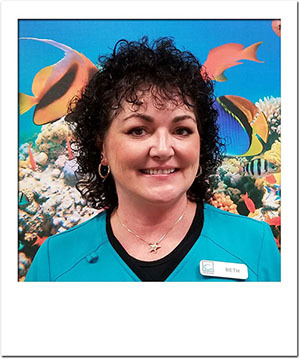 I am a native of Wilmington, NC and have 26 years combined experience in General Dentistry and Orthodontics. The best part of my job is being able to work with the patients and watching them grow up and for a short time, share in their lives. I am lucky to be able to work alongside a doctor that has a high standard of care, integrity, and intelligence. I share my life with Dwight and our beautiful Australian Shepherd Zoe. In my spare time I enjoy swimming in my pool, driving my sports car, working in my yard, and spending time with Dwight and Zoe. My name is Melisa and I serve as the Scheduling Coordinator for Dr. Cherubini. I am originally from Richmond, Virginia, but currently call Hampstead home. I am the proud wife of a Marine and together we have one son. Prior to joining Cherubini Orthodontics, I was a stay at home mom for 14 years following a lengthy career in multifamily property management. In my free time, I love spending time at the beach, home decorating, crafting, and watching my son play sports. My favorite part of the job is getting to know the patients and their families and building personal relationships. I love to see the self confidence that comes from a beautiful smile. It is exciting to share in this life changing experience. 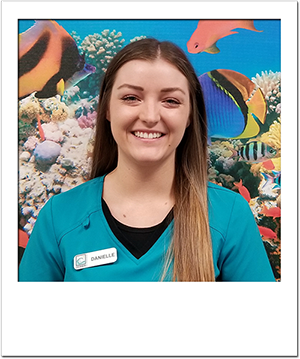 My name is Danielle and I am an Orthodontic Assistant for Dr. Cherubini. I was born and raised in Wilmington, NC. I graduated with my certification in Dental Assisting with an Associates Degree in Applied Science in 2016. In my free time, I like spending time on the boat and hanging with my dogs Bella, Lola, and Atlas. My favorite part of the job is seeing the smiles on the faces of our patients when they get their braces off. It makes me happy to see that they are happy with their smile. 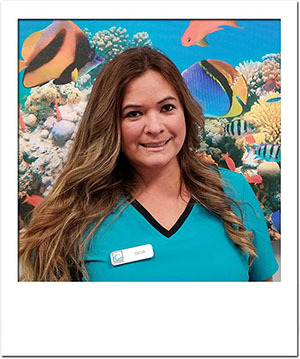 My name is Delia and I am an Orthodontic Assistant for Dr. Cherubini. I have been working in orthodontics for over 16 years. I love working with patients and providing excellent care while making them feel comfortable. In my free time I enjoy spending time with my family, traveling, and photography. My favorite part of the job is working with children and getting the opportunity to educate them on the importance of good oral hygiene. I love to see them leave our office with a big smile.